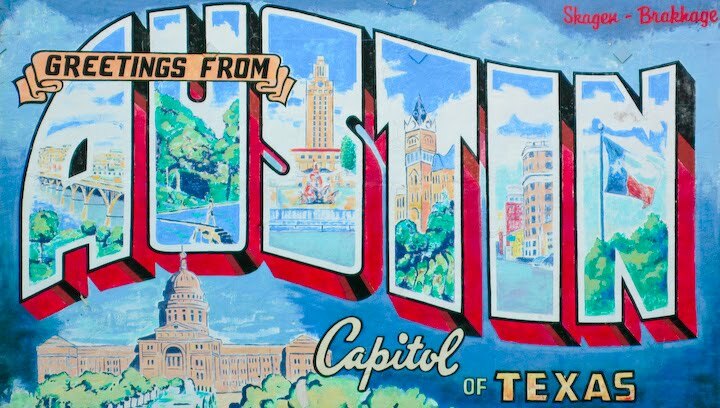 The Texas Experiment: An Ethnography: TEXADELPHIA? Of course I'd heard of Tex-Mex before I came to Texas. What kind of American hasn't eaten fried ice cream at Chi-Chi's with a big gulp margarita at one point or another? Tex-Mex, it's like Mexican food, only not at all! 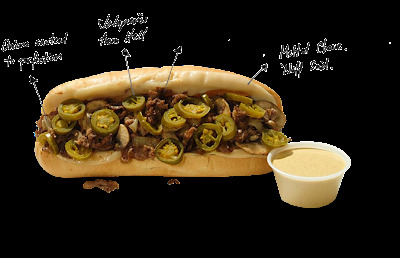 However, on my arrival in Texas, I was shocked to see a merger I never thought possible: A combination Tex-Mex Philly Cheesesteak, cleverly named "Texadelphia!" Choose between our 100% Certified Angus Beef or Thinly sliced Chicken breast stuffed with grilled onions, mozzarella and mucho macho jalapeños! And to top it off, we give you a side of Queso to pour all over your fiesta in a bun. FIESTA IN A BUN!? SIGN ME UP! FINALLY, SOMEONE WHO UNDERSTANDS MY NEED FOR BOTH PARTIES AND BUNS! Seriously though, I am determined to try this beast. And if it does not kill me, I will promptly review it and perhaps even Fed Ex you one. How do I get them to use Amaroso rolls?